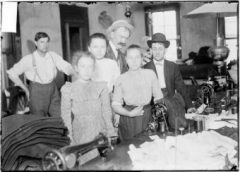 Business and worker relationships were tense on the West Side, in the markets and on the street, where all workers especially children and young adults put in long hours to put together even a shabby living. 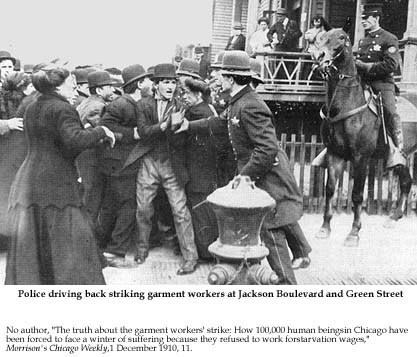 Almost everyone in the area needed to work, and many were often vocal and vehement about the situation, the wages, the working environment, the politically driven restrictive city rules and regulations, police enforcement and harassment, and at times the overbearing labor organizers. 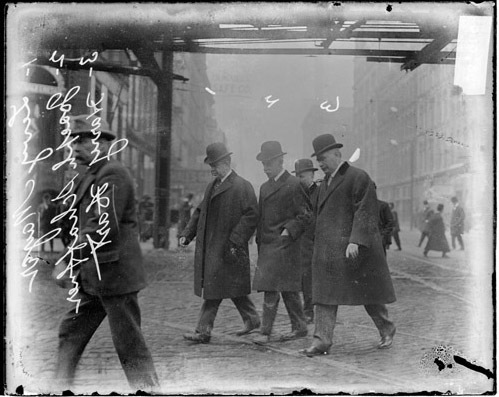 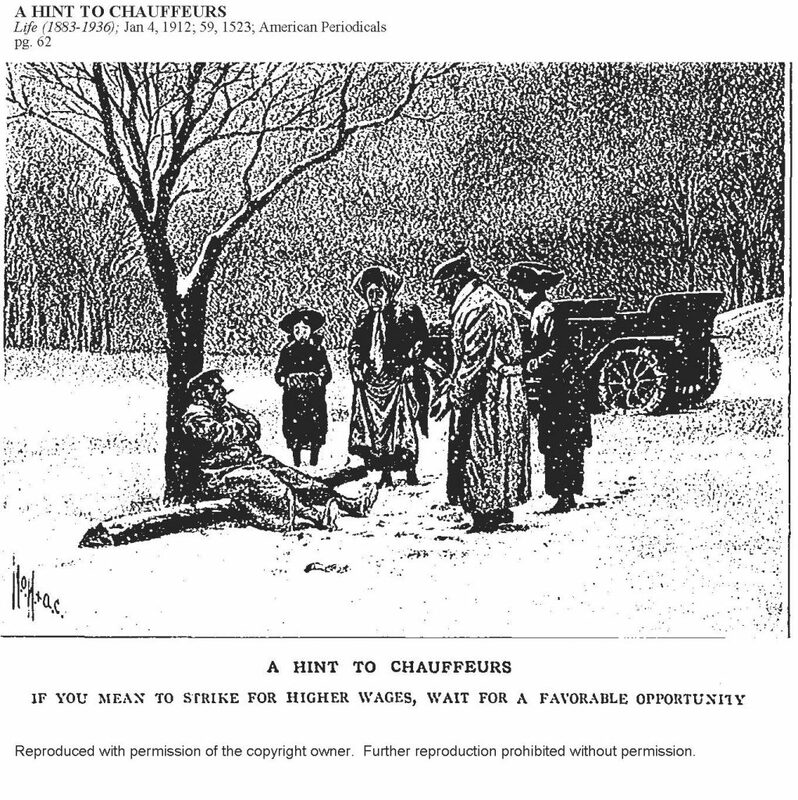 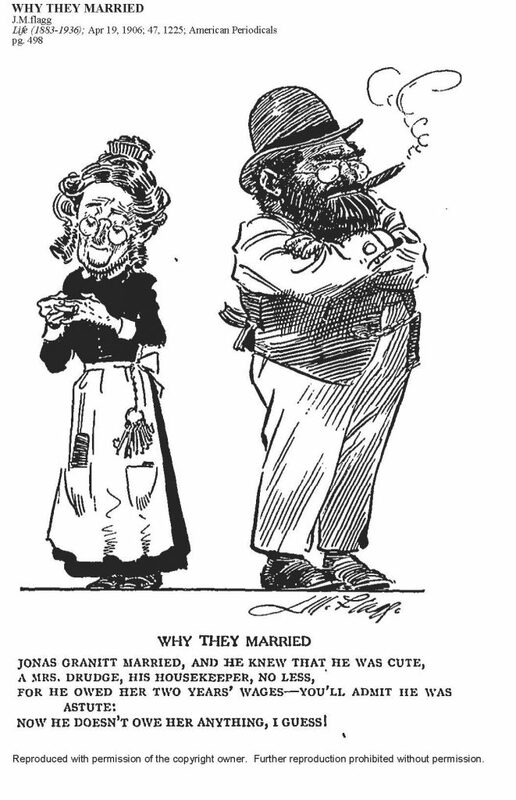 The Chicago strike against Hart, Schaffner, and Marx in 1910-1911 was a landmark event. 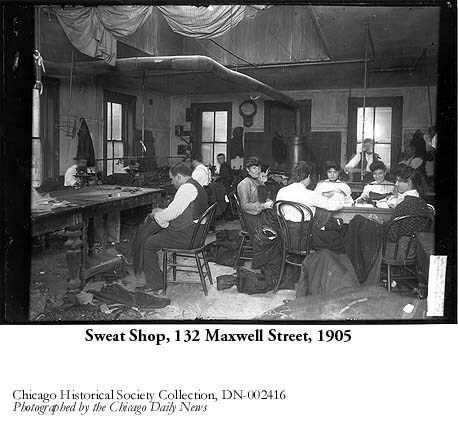 Founded by two German immigrant brothers as a small men’s clothing store in Chicago in the 1870s, the company expanded both into manufacturing and nationally advertised mass-market off-the-rack distribution of stylish suits at an affordable price for any size man by the early 1900s. 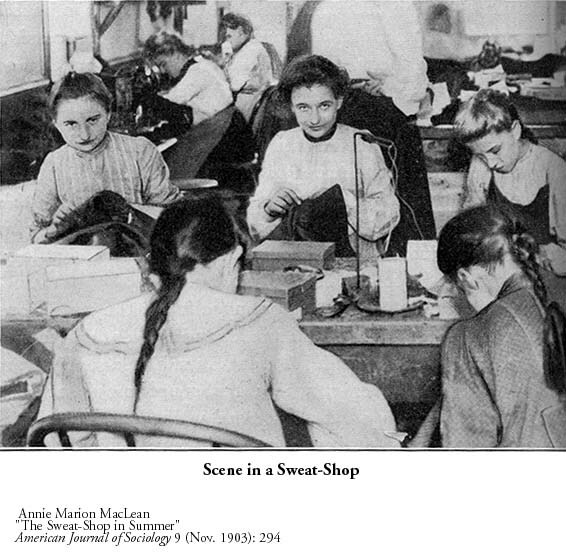 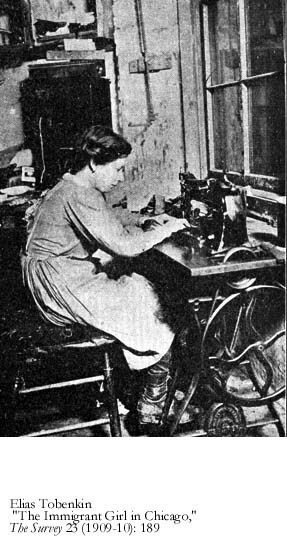 Manufacturing suppliers mostly on the West Side employed a majority of “alien” workers especially young women, who began the strike in reaction to a wage cut. 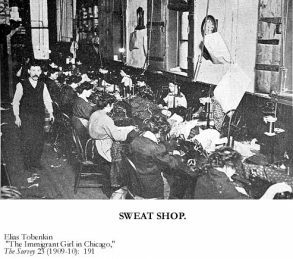 The business of “threads” was a highly competitive one, thriving on advertising and mark-downs, with seasonal cycles and demands for borrowed capital in a less than predictable consumer market. 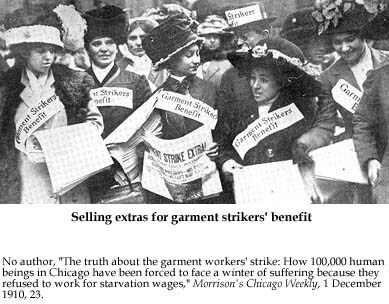 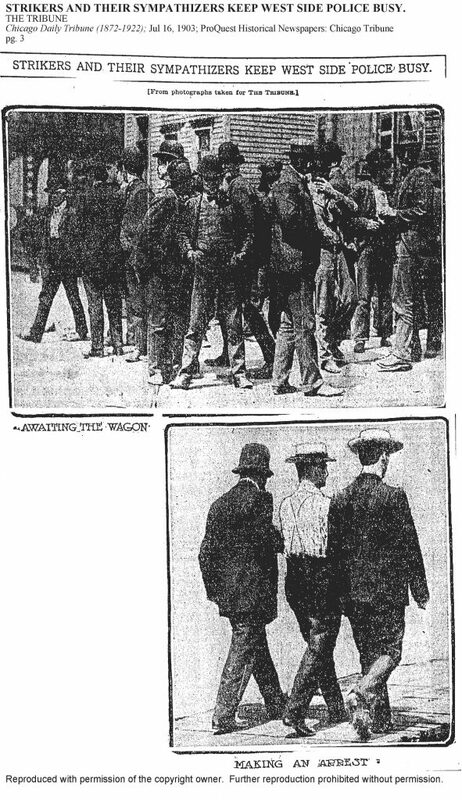 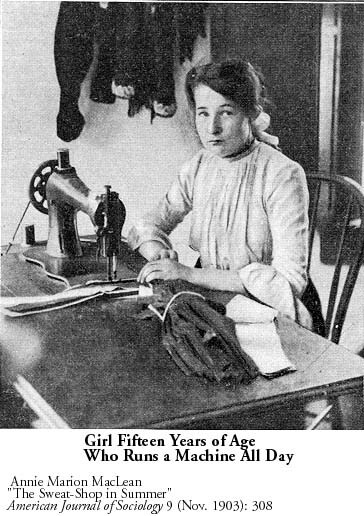 About 45,000 Chicago garment workers went on strike, publicized both in print and photographs. 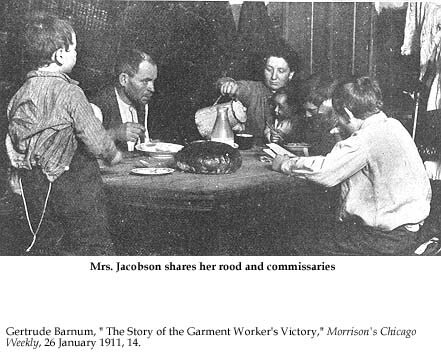 The camera began providing a more nuanced view than formerly of workers at their jobs, both protesting labor conditions on the streets and at home with their families.